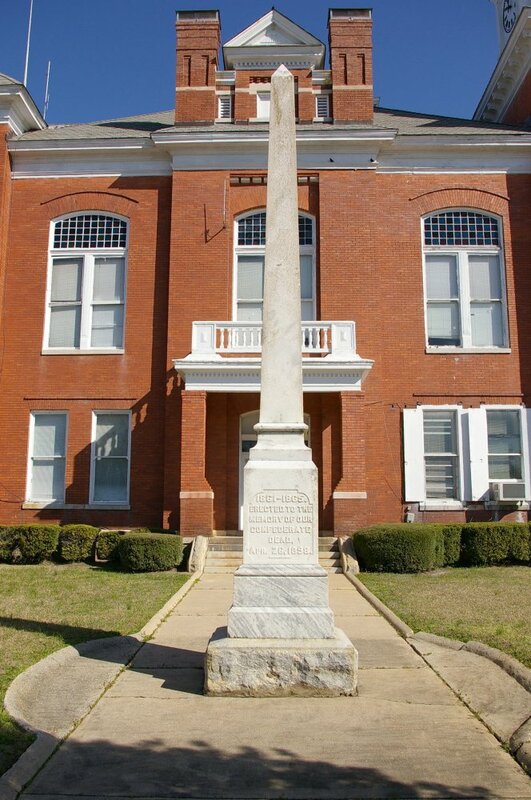 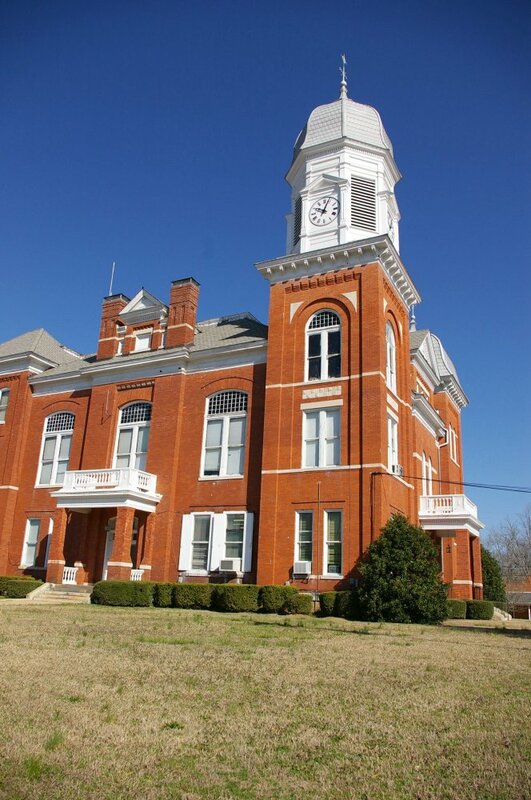 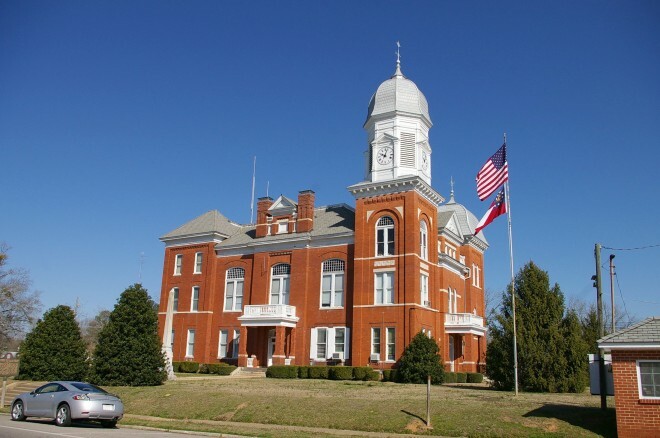 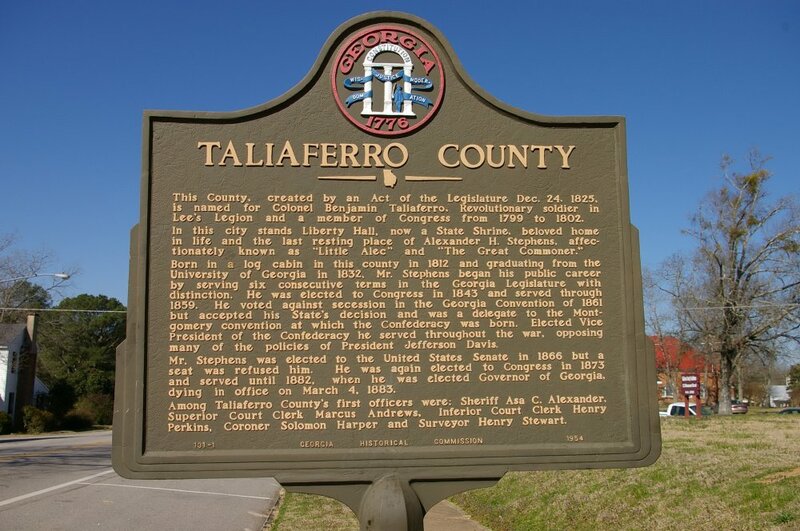 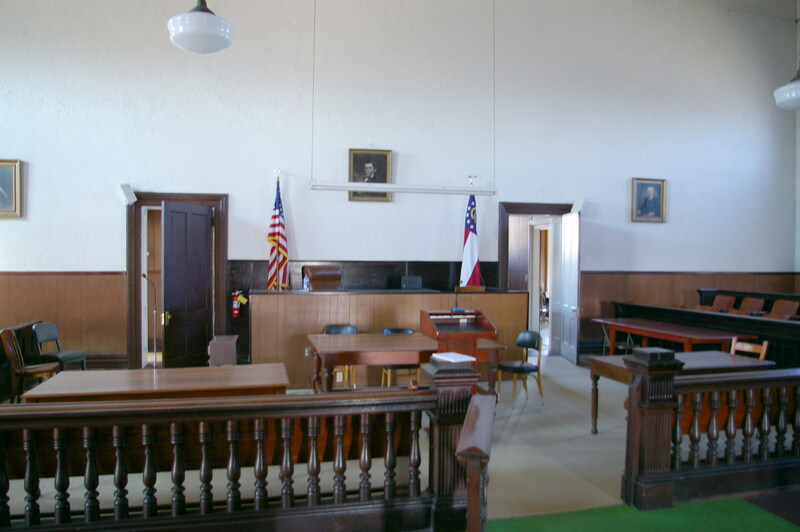 Taliaferro County is named for Benjamin Taliaferro, who was an officer in the American Revolutionary War and a United States Representative from Georgia ( pronounced “Toliver” ). Description: The building faces east and is a two story red colored brick structure. 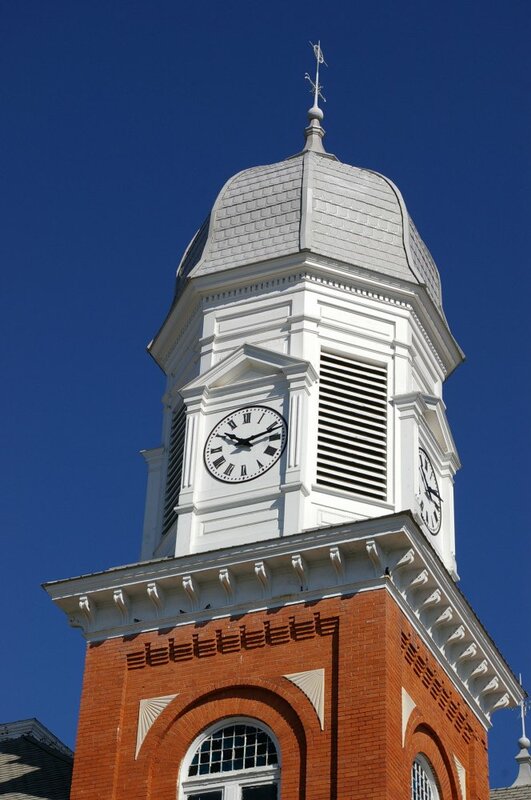 The building has a large square clock tower on the southeast corner rising to a white octagonal cupola with clock and silver colored roof. There are small brick pillar supported porches on the south and east sides. 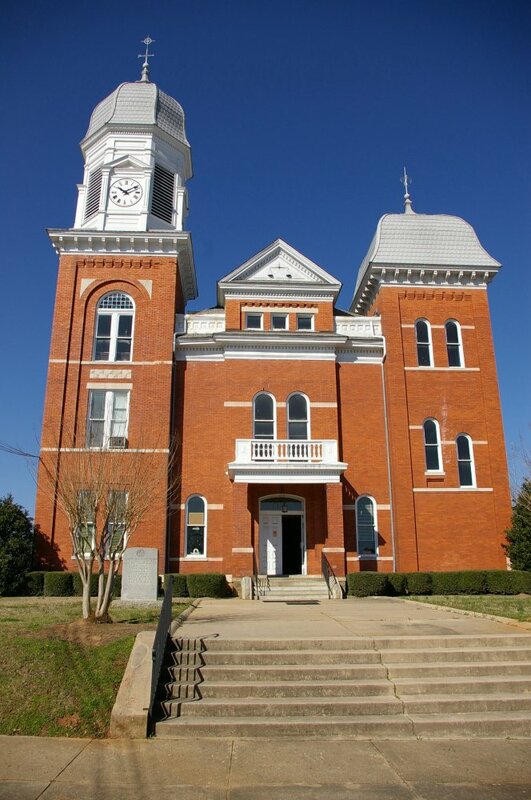 Small square towers are on the other building corners.